Just two years ago today I brought sweet small pitkin home to Derek. He was quite surprised and had no idea what was to come of this tiny puppy. He is more than we every wanted… literally. He still acts the exact same as day one. Best Christmas gift ever. Love this guy. 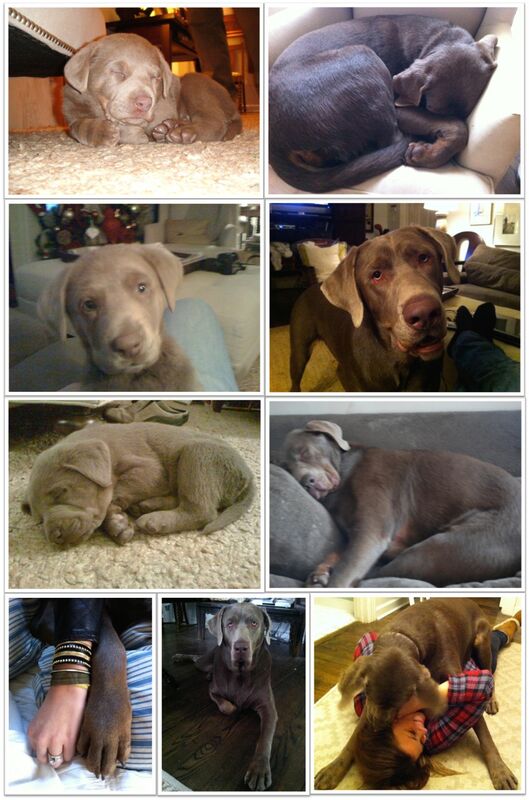 This entry was posted in Pit of the Day and tagged obsessed with my dog, pit of the day, pitkin, silver lab. Bookmark the permalink. He really is the exact same except 130 lbs heavier! !